​Participation in our programs yield the skills, confidence and self-discipline needed to take on the challenge of getting to college. ​We are an organization aware of our diversity and its needs. We serve the underserved, promoting education with responsibility, respect, and self-discipline, through sports, thus creating opportunities and involvement 4 youth and families. 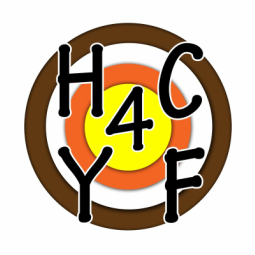 Hartland Community 4 Youth & Families works to promote education with responsibility, respect, and self-discipline through afterschool and summer programing. These programs include sports, environmental and river stewardship, outdoor education and adventure and place-based activities. Our organization promotes higher education and lifelong learning by partnering with children, parents, schools, teachers and other organizations. All of our programs serve both as motivation and a tool for education. In order to participate, our students must demonstrate objective improvement in their academic performance, and, unlike many sports-based youth organizations we are not oriented toward competitive outcomes as much as providing opportunities for personal development. Our partnership with the schools our participants attend is vital to the program. We are able to track our students as well as help them find the resources they need to succeed at school. Vital to our strategy is the effort to promote cross-cultural understanding and communication between youth and their families through mentoring, sports, and volunteer opportunities. In 2009 Gilberto "Juan" Rejón Magana knew he had to do something. Kids in the Hartland Apartment complex where he and his family lived were becoming involved in gangs, drugs and crime. Gilberto’s son was 6 at the time and so Gilberto developed a plan and put it in motion. In communities such as Hartland in Salt Lake City’s West Side, parents must often work several jobs, often there is only one parent, sometimes kids are living with extended relatives. Typically families live at and under the poverty level. A born community leader, Gilberto, took the initiative to begin an alternative to crime, drugs and gangs for kids who otherwise had few opportunities. His initial strategy was to start a soccer program. In the multi-cultural setting of Hartland, Soccer was a universal language and a universal love. His program quickly grew and instead of having nothing to do after school opening them up to getting in trouble, kids ran right from school the Gilberto’s Hartland soccer practice where today they begin a pathway toward higher education. With over 80 kids signed up to play soccer in 2013 Hartland became an official 5013c non-profit. In those years Hartland has grown to include partnerships with some of Utah’s most well-known organizations to serve the children and families on Salt Lake’s West Side. programming! With lots of parental and family involvement.